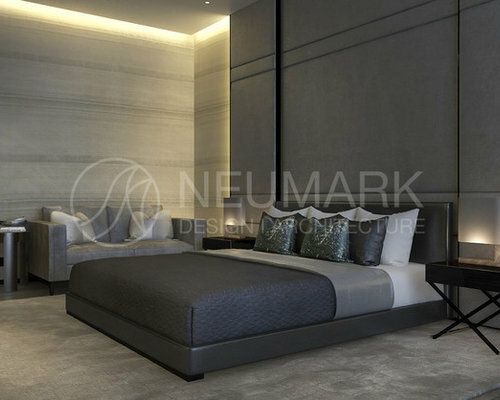 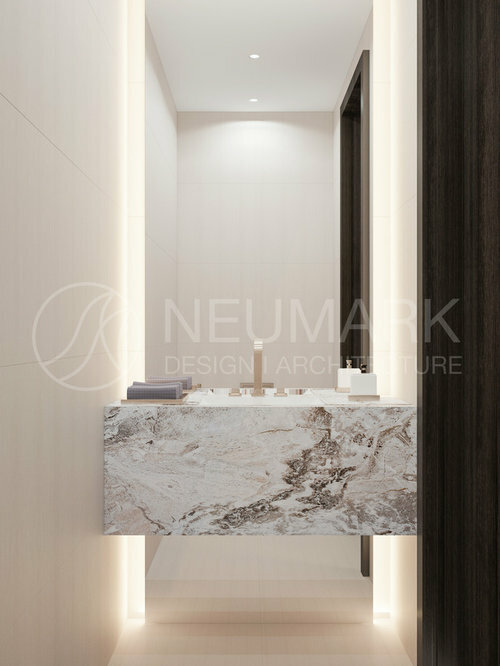 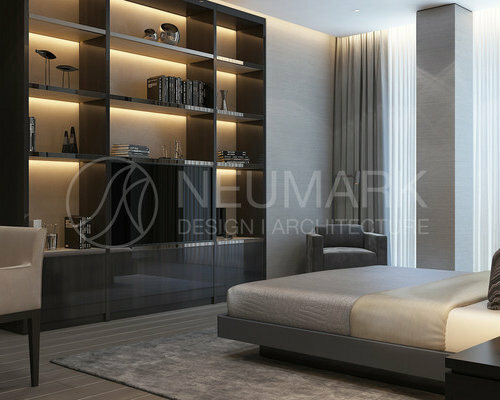 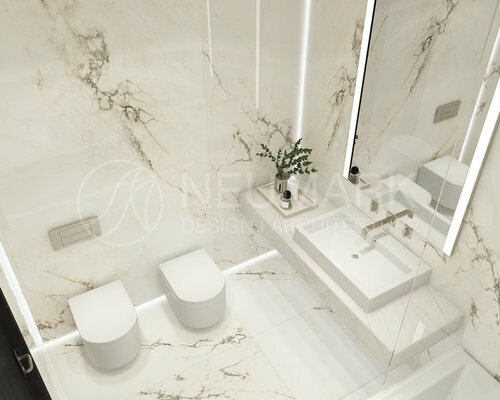 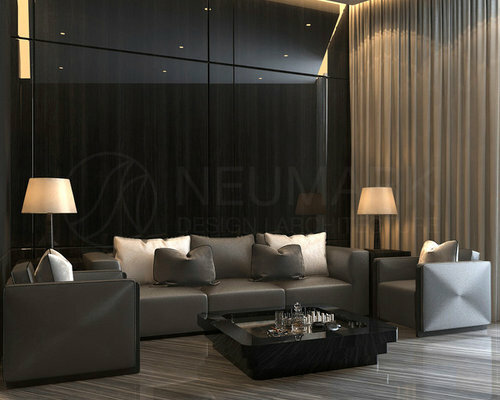 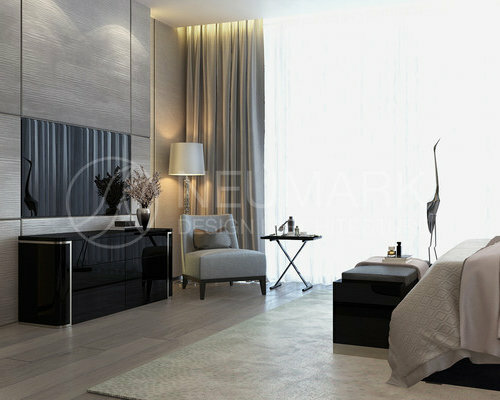 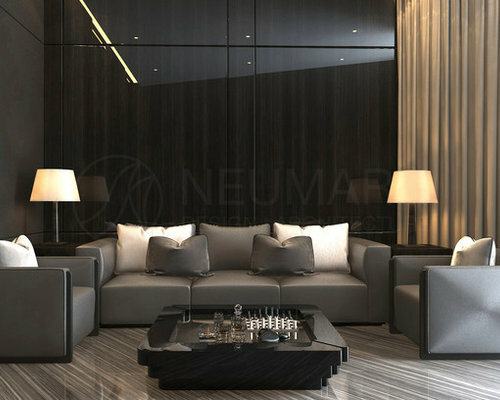 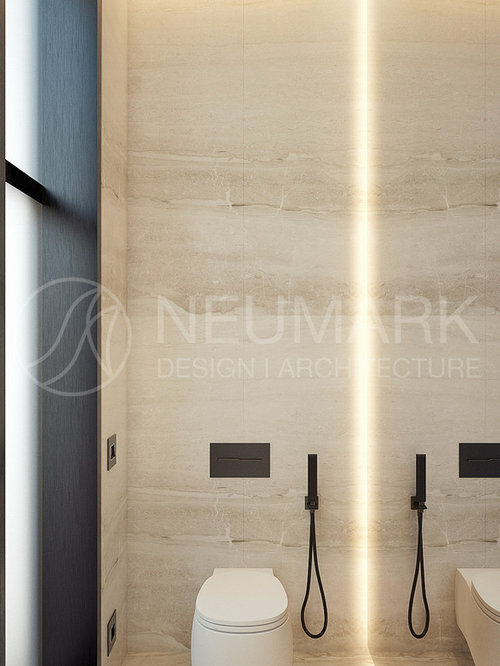 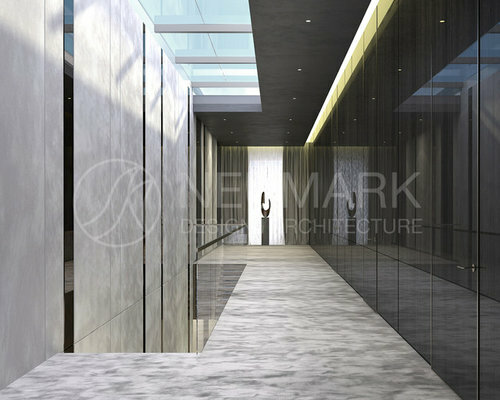 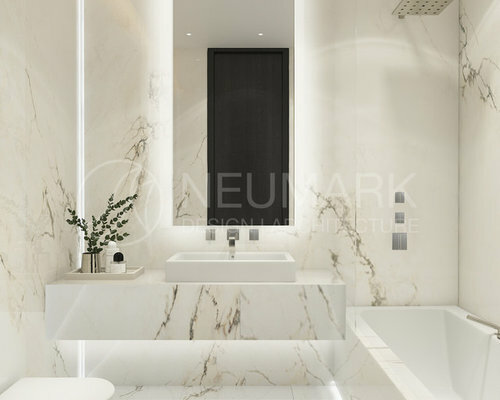 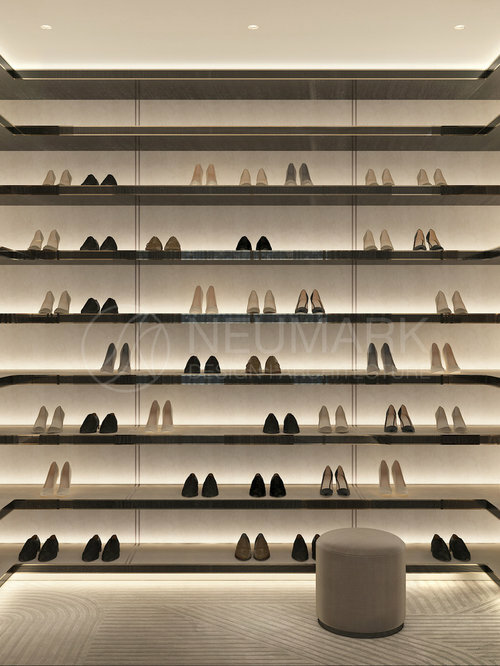 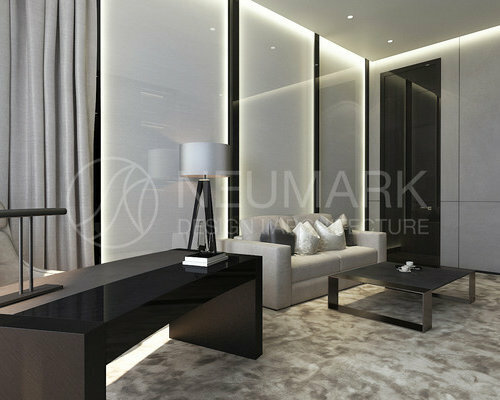 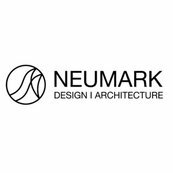 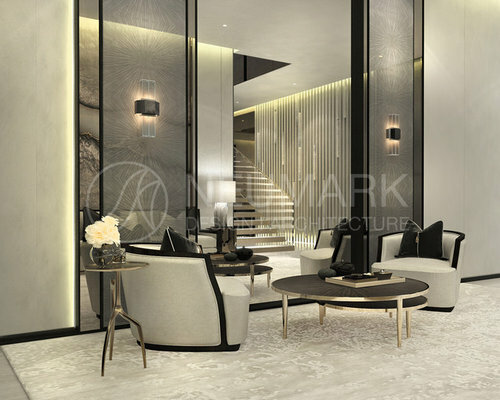 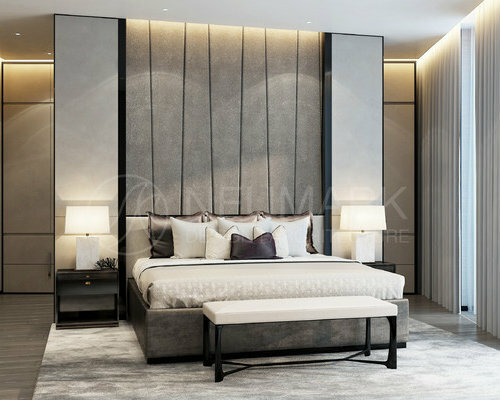 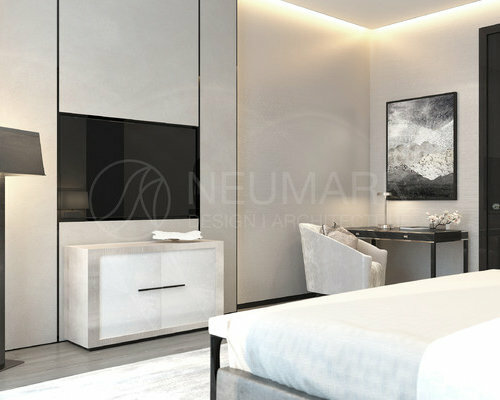 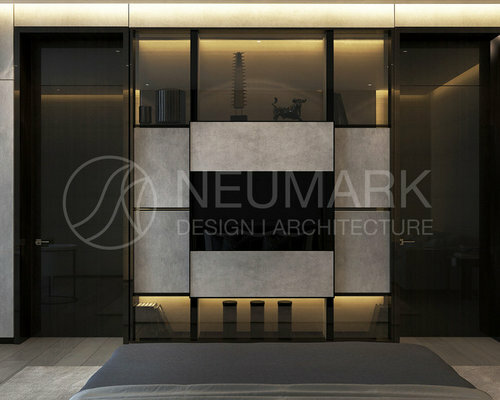 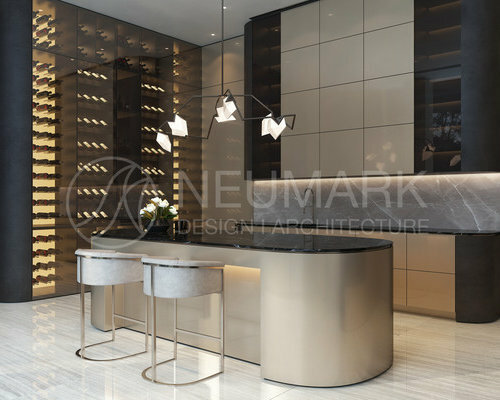 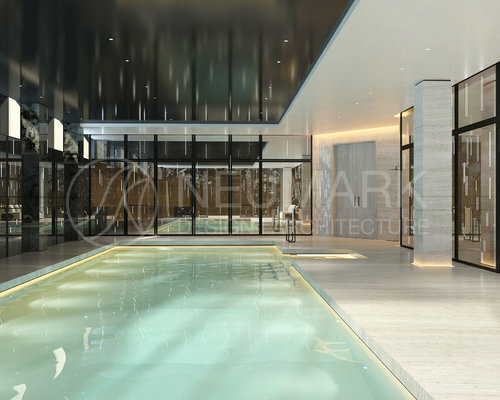 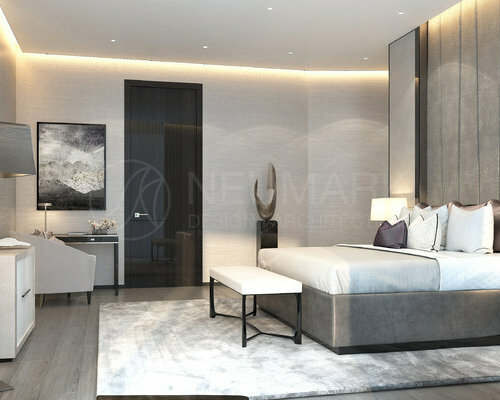 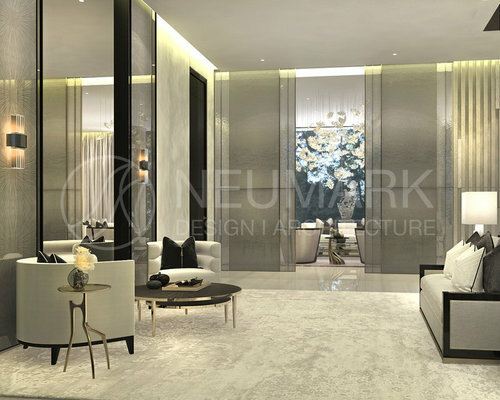 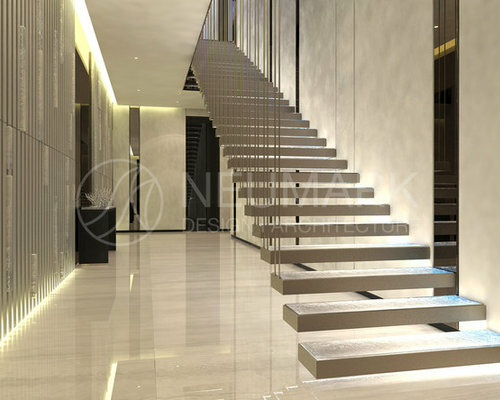 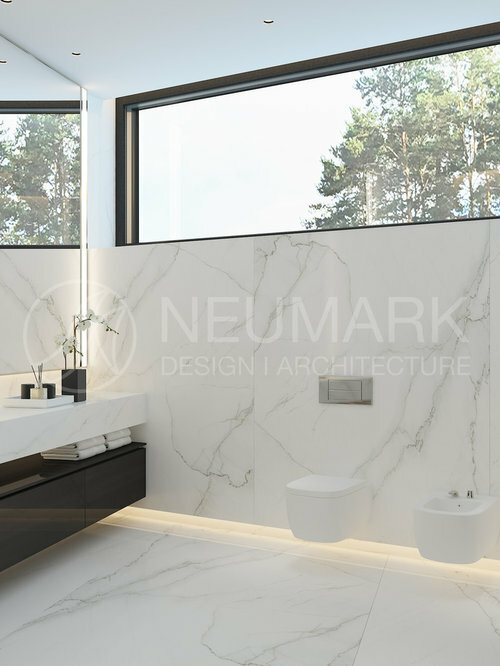 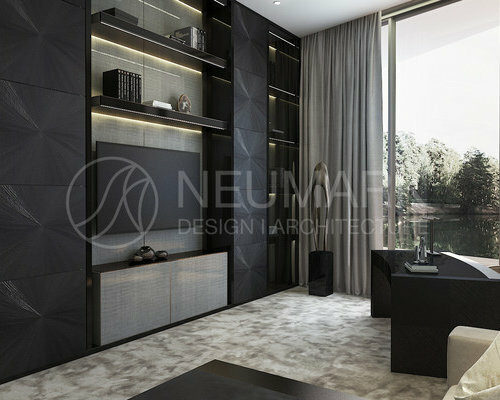 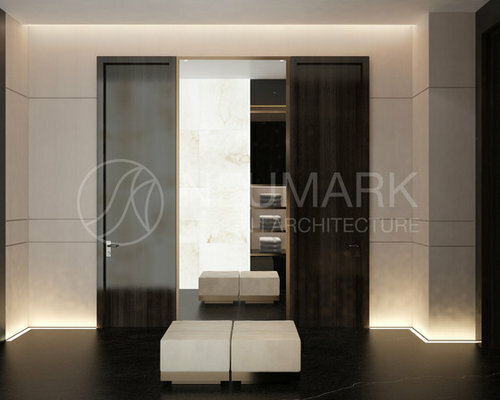 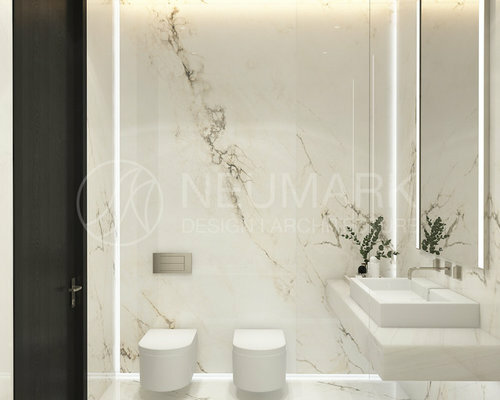 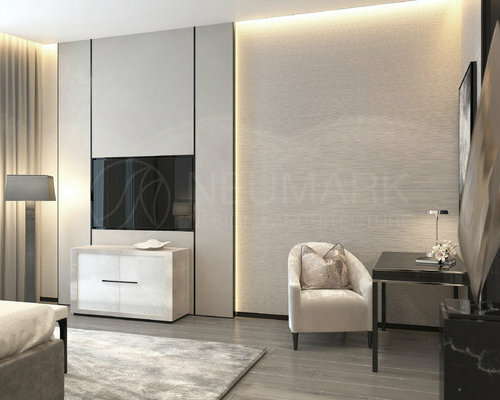 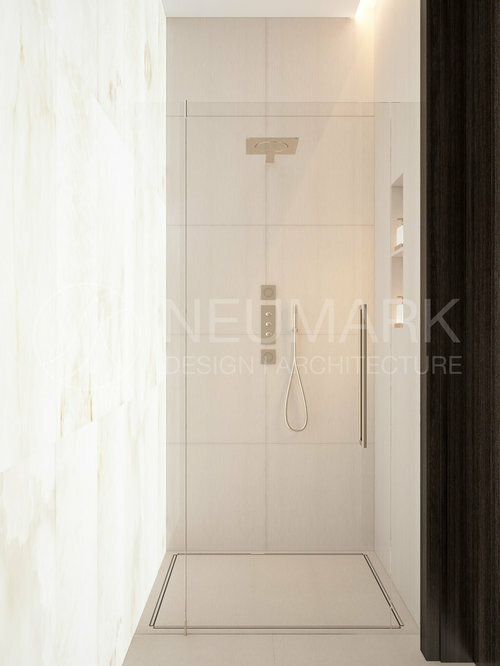 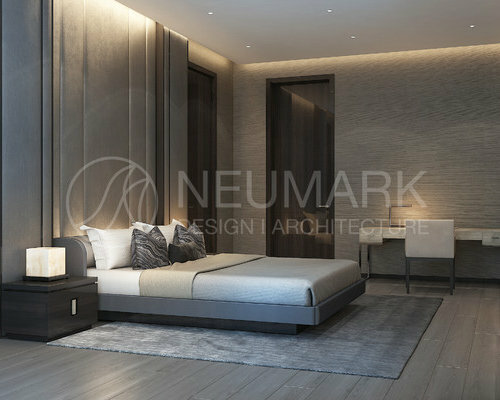 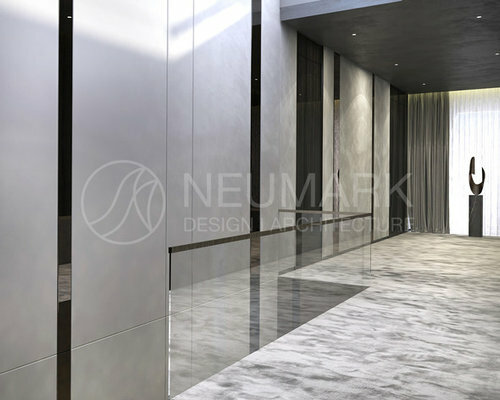 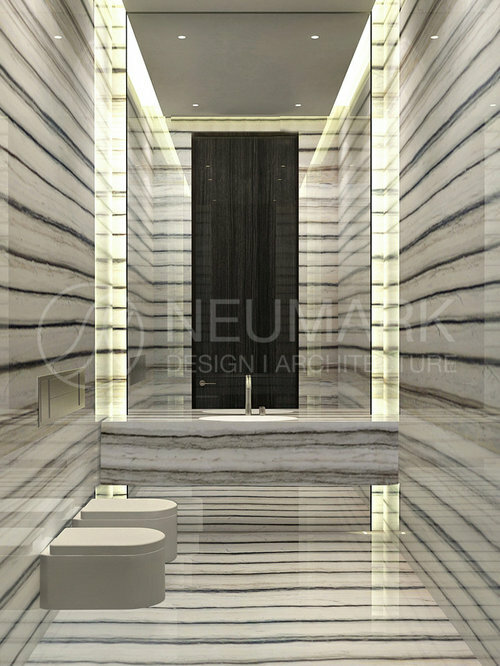 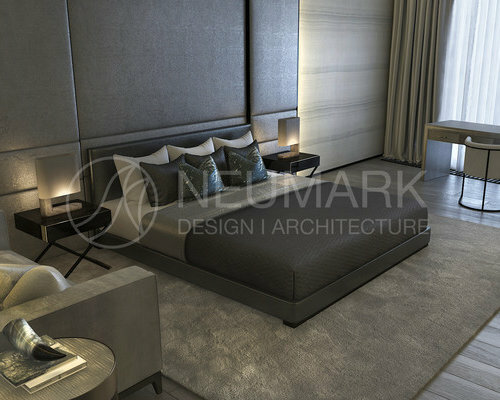 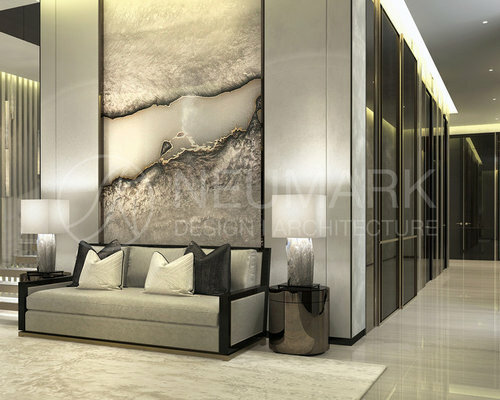 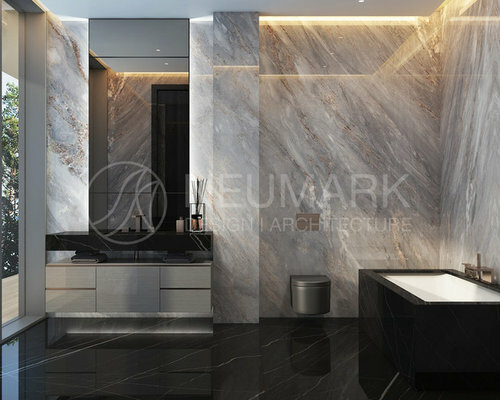 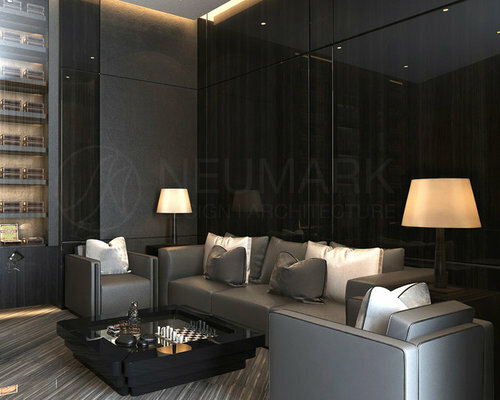 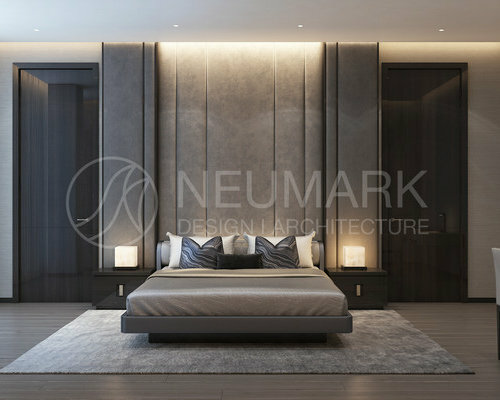 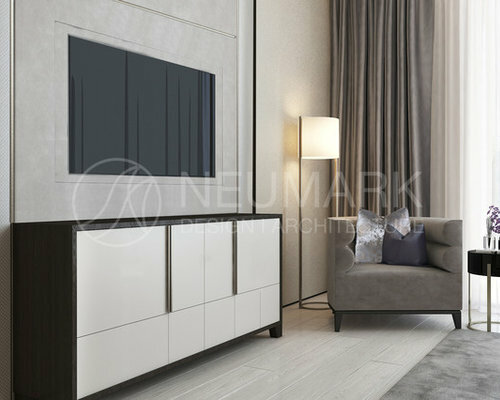 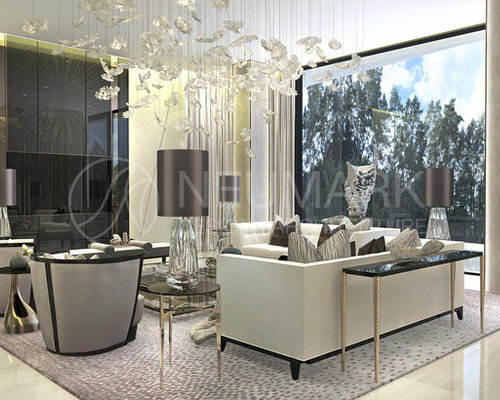 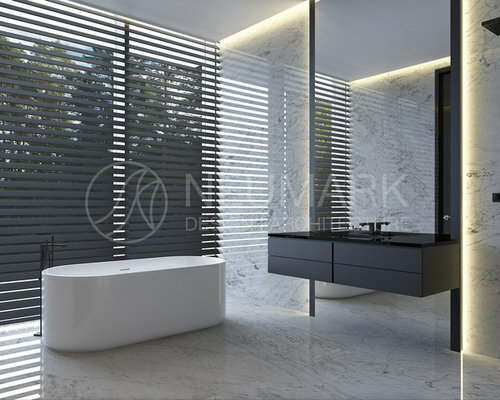 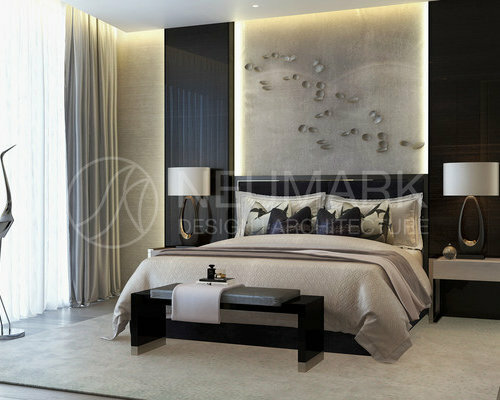 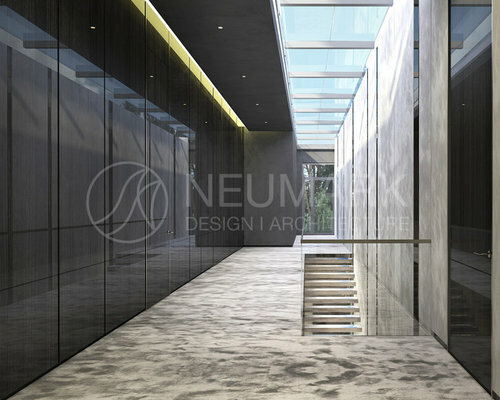 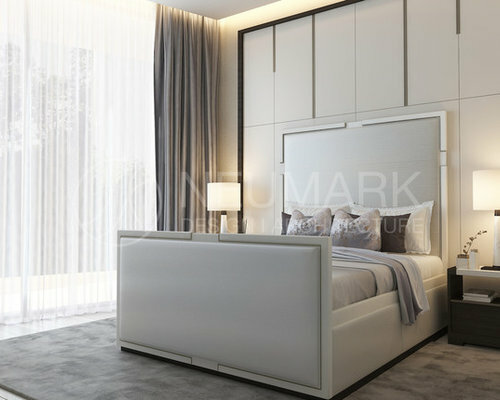 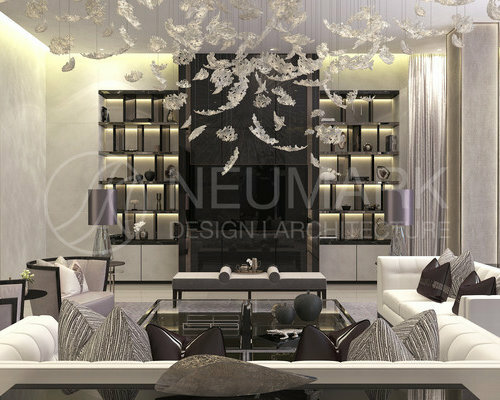 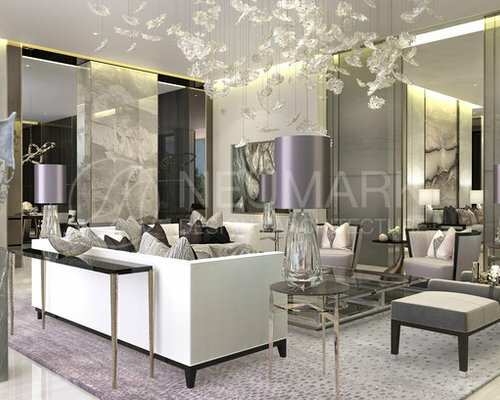 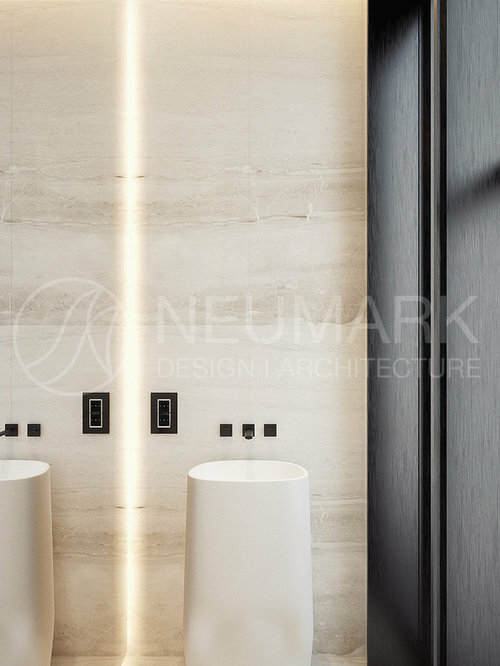 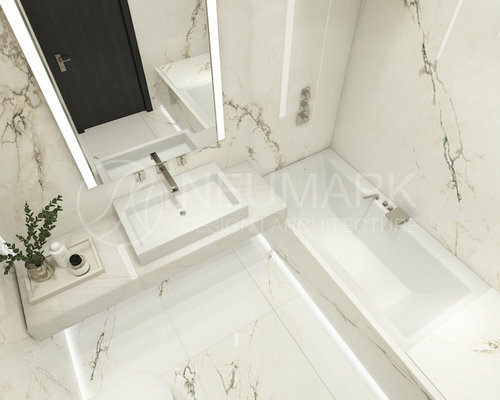 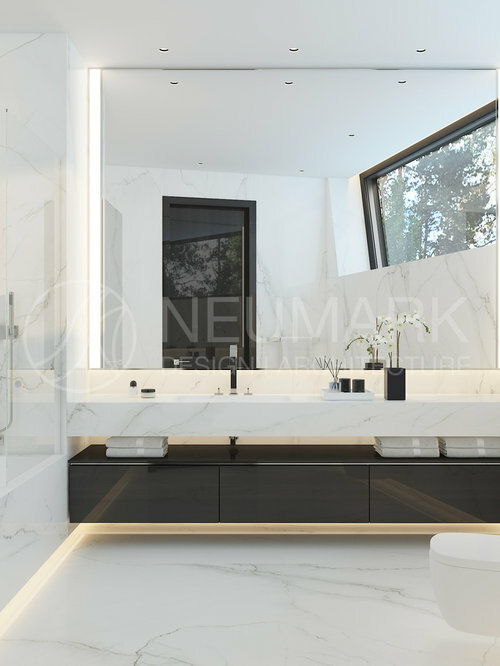 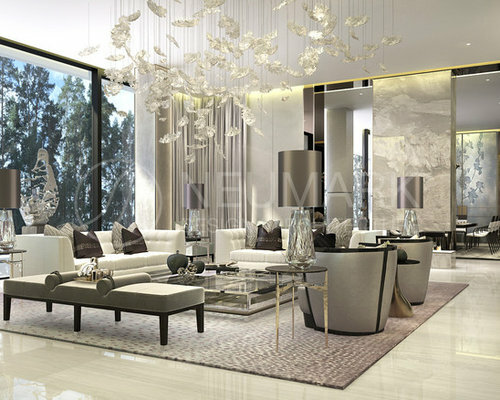 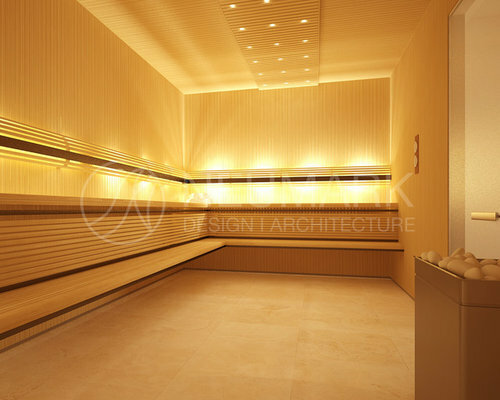 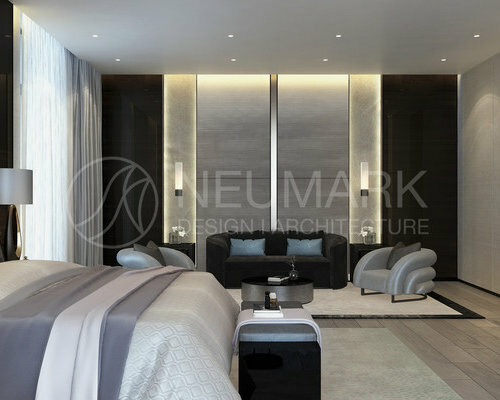 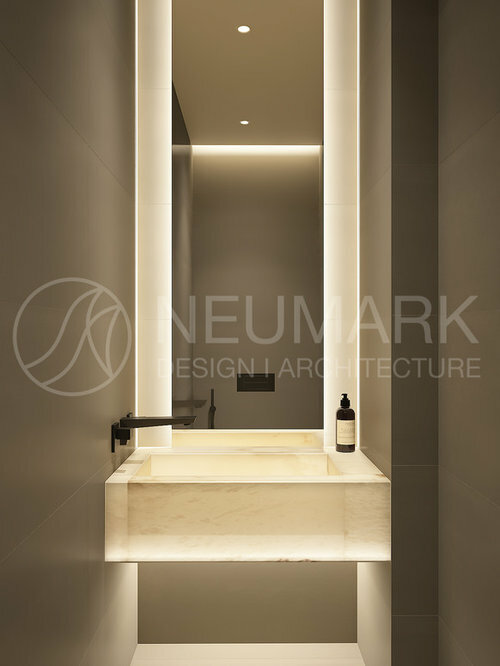 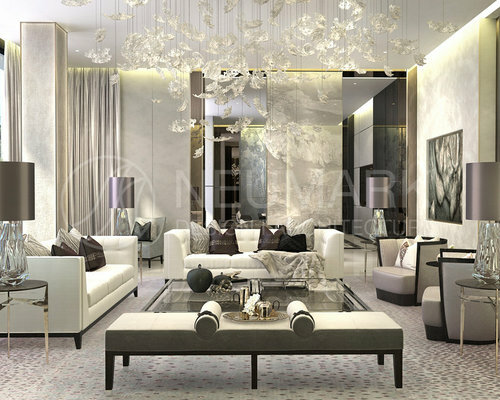 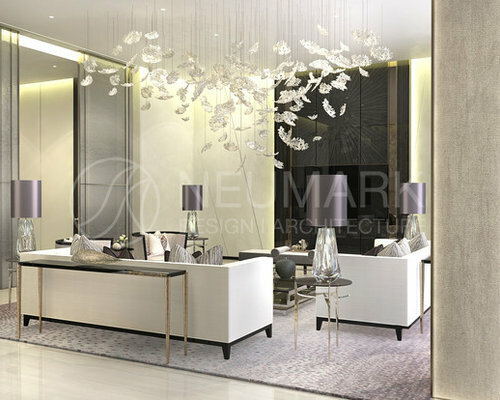 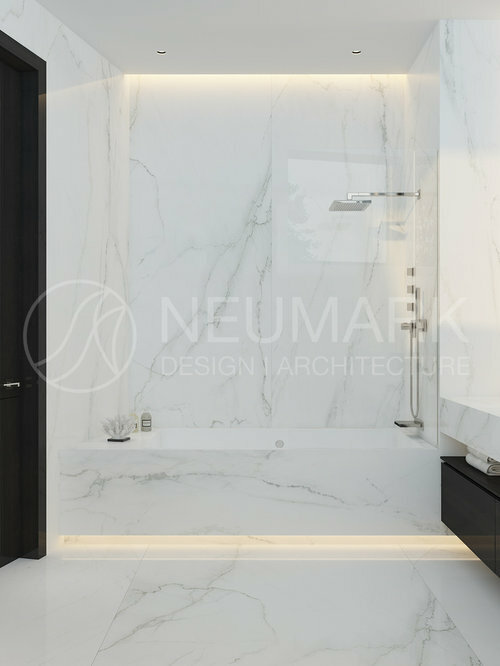 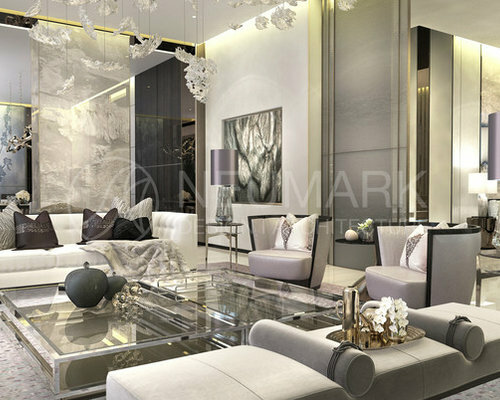 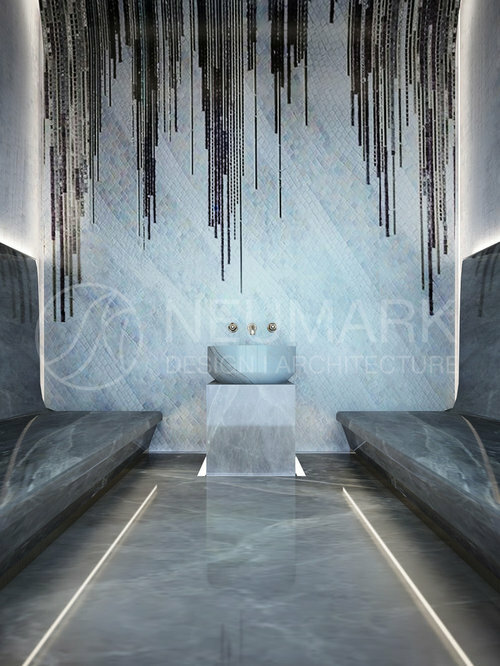 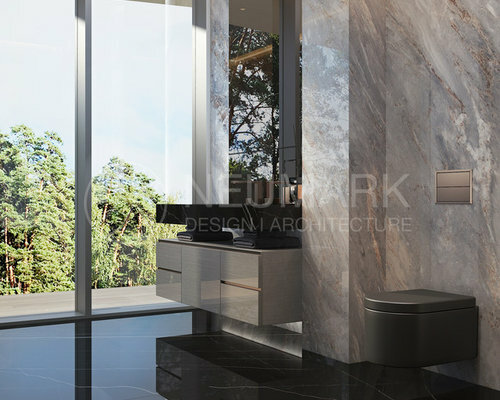 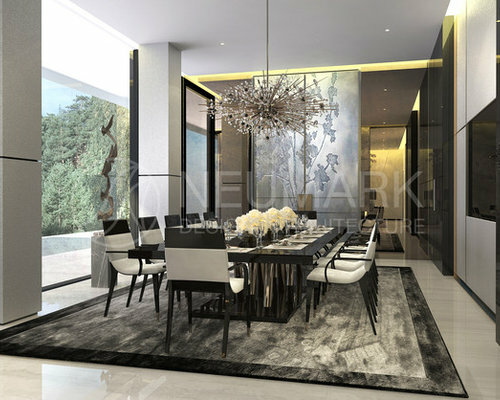 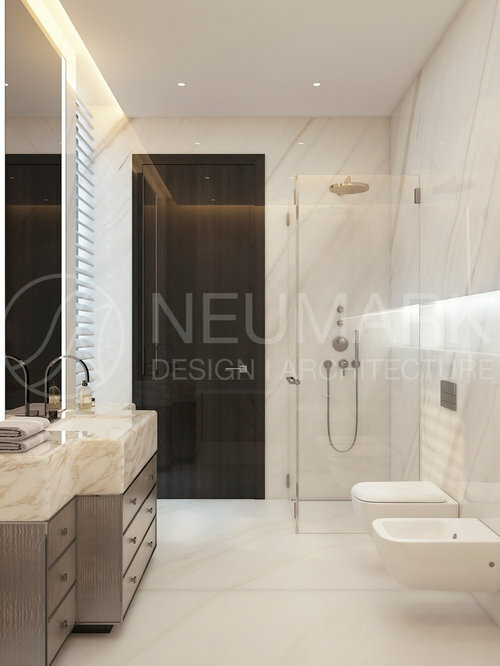 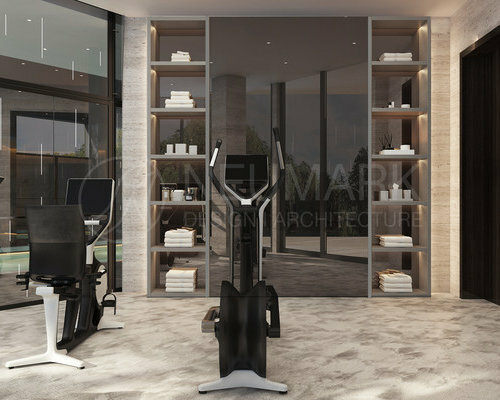 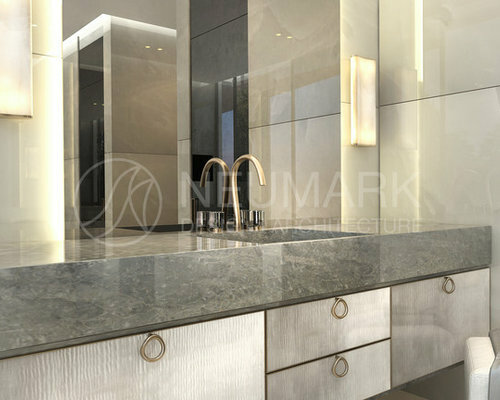 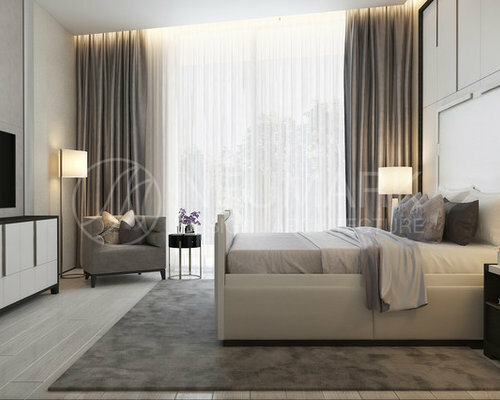 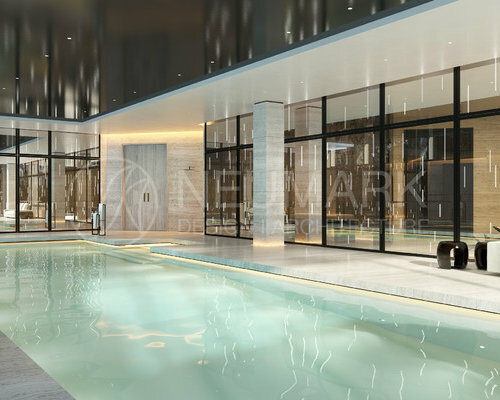 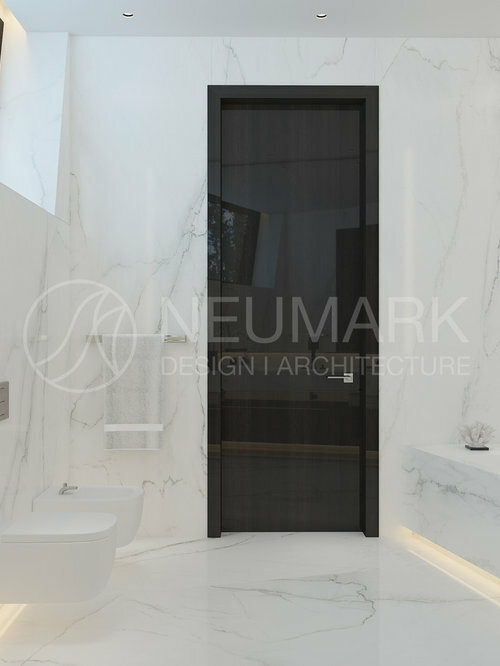 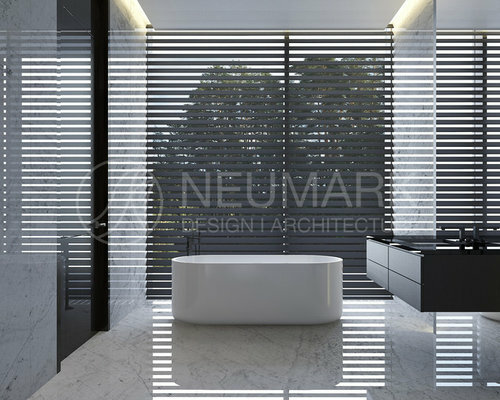 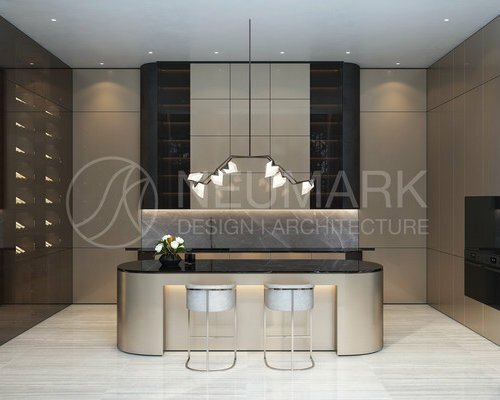 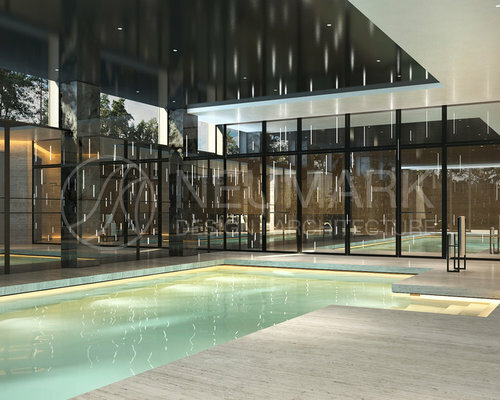 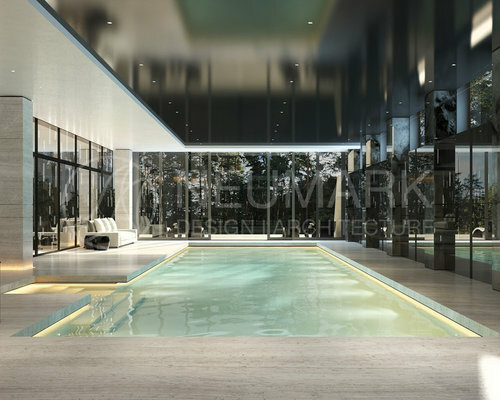 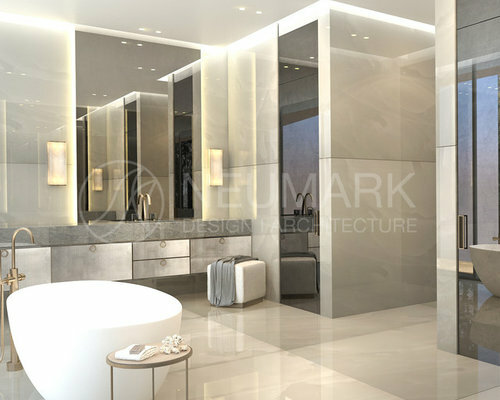 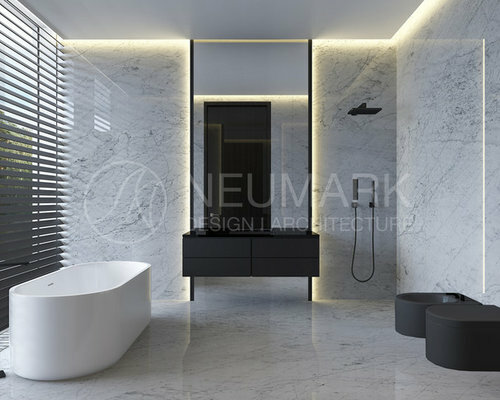 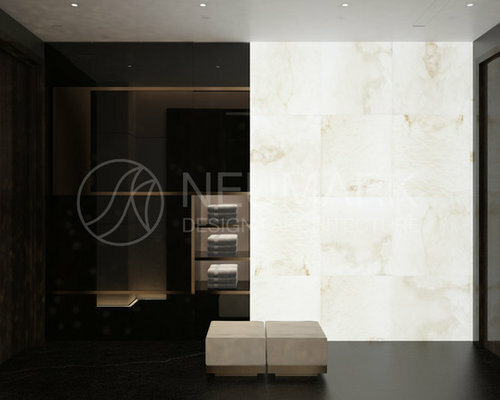 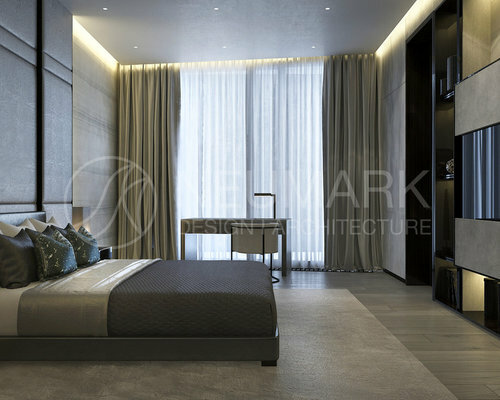 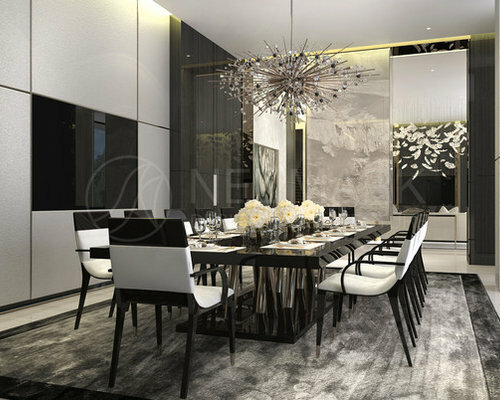 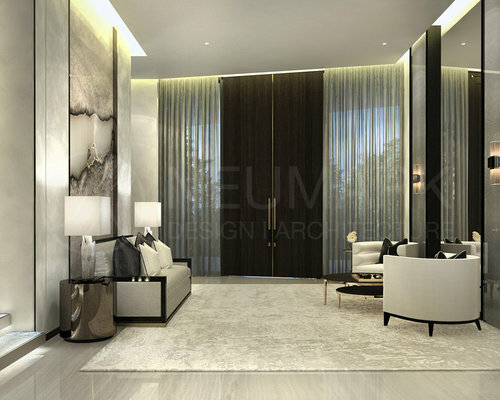 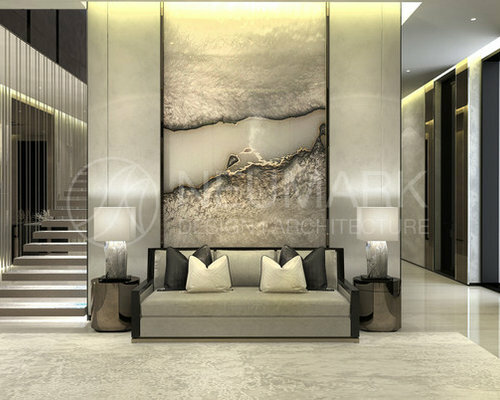 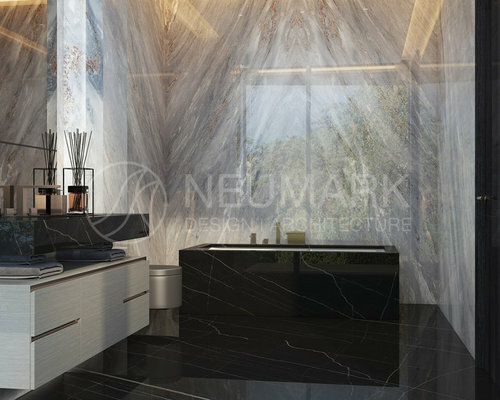 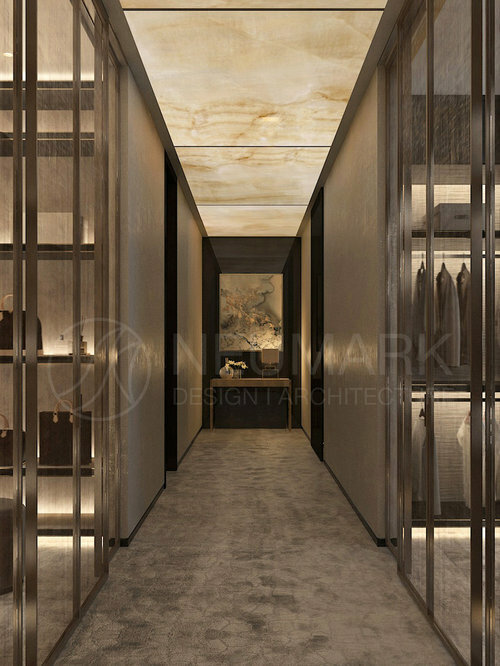 NEUMARK presents a magnificent 18 000 sq ft house in Barviha, located in Moscow with a sleek airy contemporary design. 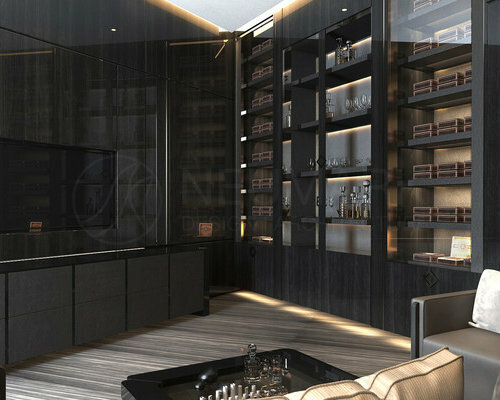 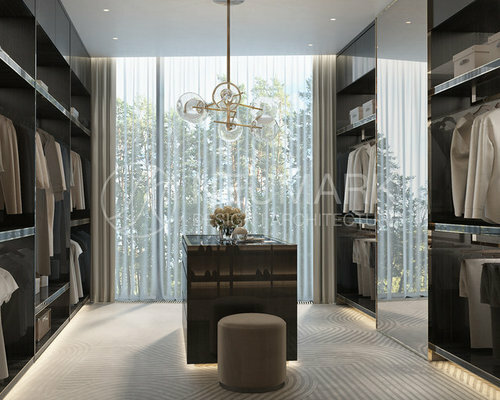 This home is suited for the sophisticated and intellectually minded living in Moscow. 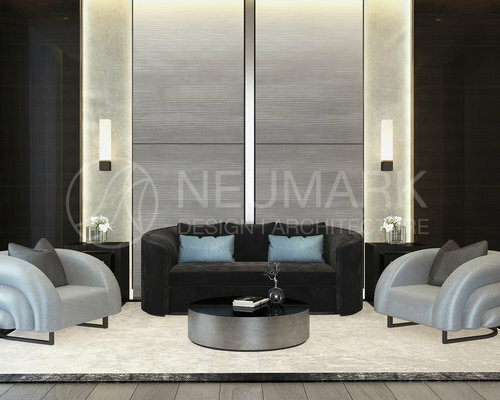 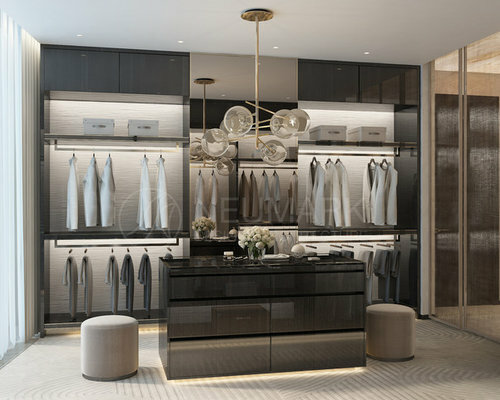 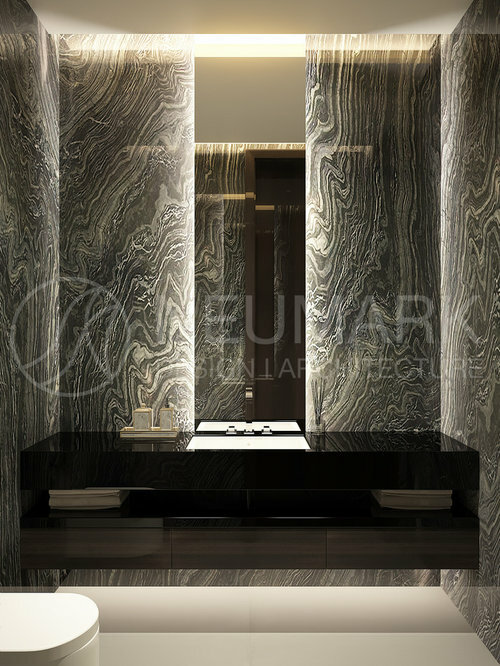 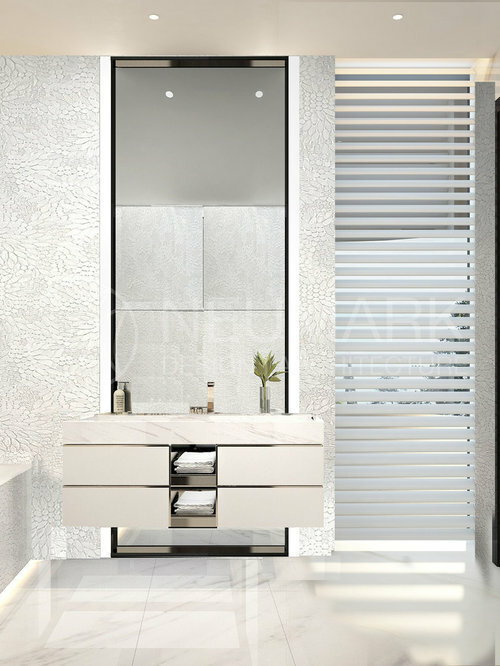 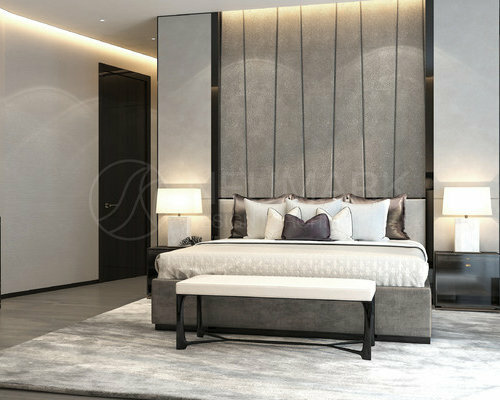 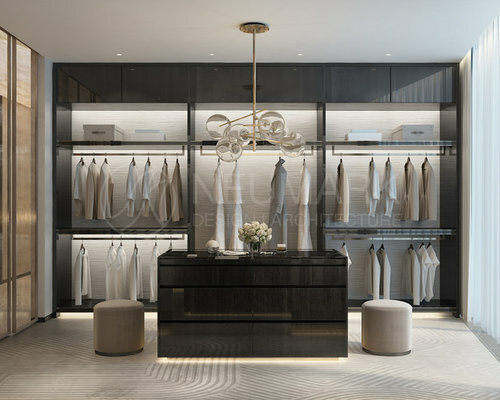 Anton Neumark and Marina Anisovich have incorporated only the finest quality elements in this home, from exquisite rare woods, smooth metals, glass, fine leathers, posh fabrics to stunning stones.